And such is life! : Another pic that makes you think.. Images work in print ads (I like great copy better, though) without doubt. 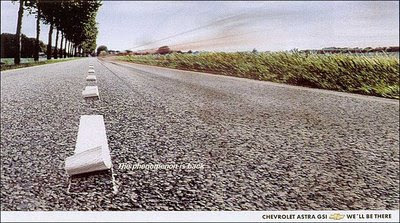 Especially with images that have a story to tell and make you think about what the story is, like in this ad where you need to think what could have caused it, and especially when they apear in print (rather than on billboards) where readers do have time to mull over it.